#Microsoft365 #Office365 Dear #Microsoft. I am your biggest fan, and this is a cry for help. Yup, It’s gonna be one of those posts that’s going to upset a couple of people. Please, I beg you, we need to stop “selling” driver’s licenses to people who shouldn’t be driving (yet). I have the utmost faith in people, I see good in everyone, and believe in their ability to be ABSOLUTELY AMAZING, but it’s unfair to give people a lot of power, when they’re not sure what to do with it (yet), or how to use that power “responsibly”. Get what I’m saying? On a regular basis I meet with clients who’s been on #Office365 for a while, and have done crazy, wonderful, scary, heart-stopping stuff. Because they didn’t know better. And let’s face it, they most probably didn’t sell themselves the licenses. It breaks my heart… Because if they just had a bit of advice, they would have started slower, or different, or taken some time to get to know the Apps and Services first. I’m a consultant, and I cannot say I’m proud to call myself that everyday. Dear #Consultant: Issuing people with Office 365 licenses and then leaving them out to fend for themselves, is not the honorable thing to do. Except if you’re trying to create an environment where you have to maintain and fix their stuff forever – shame on you. 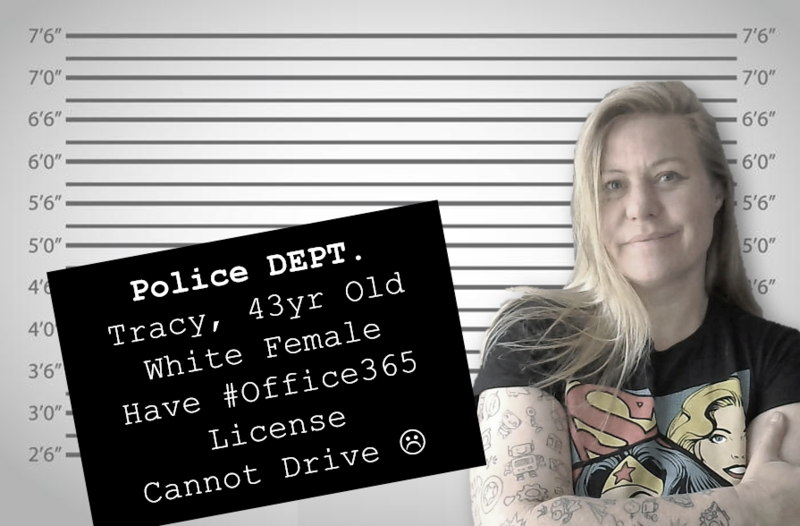 You don’t know the capabilities that #Office365 has to offer, so you didn’t get more involved Yup. I just said that. Sometimes we don’t show people the stuff, we don’t know. I am asking you, when you help companies move to #Office365, give them a free Introductory Training day, something that shows them all the capabilities and how things are supposed to fit into each other. After all, aren’t we here to help “each other walk home”. Don’t we want for people to achieve the most they can and be the best versions of themselves? Dear #Microsoft: How about we deliver an “Introduction to Office 365 course” and before a license is activated for a user – they need to go through a 2 hour mandatory overview and then the license is activated? Just a high level overview of the different Apps and how it can transform their lives as they know it? I can promise everyone, I’ve made crazy (financial) sacrifices because the client’s well being is my only goal. And believe me, they stay clients for life. When you do the right thing, for the right reason, you’ll always have work.